When it comes to sleep needs, everyone is different. Choosing the right kind of mattress isn't just about going to bed. It's far more important than that. The mattress you select should give you adequate rest, allowing you the sleep that's necessary to make life more enjoyable. Everyone has different needs for sleep comfort, and everyone has their own budgetary needs to follow. 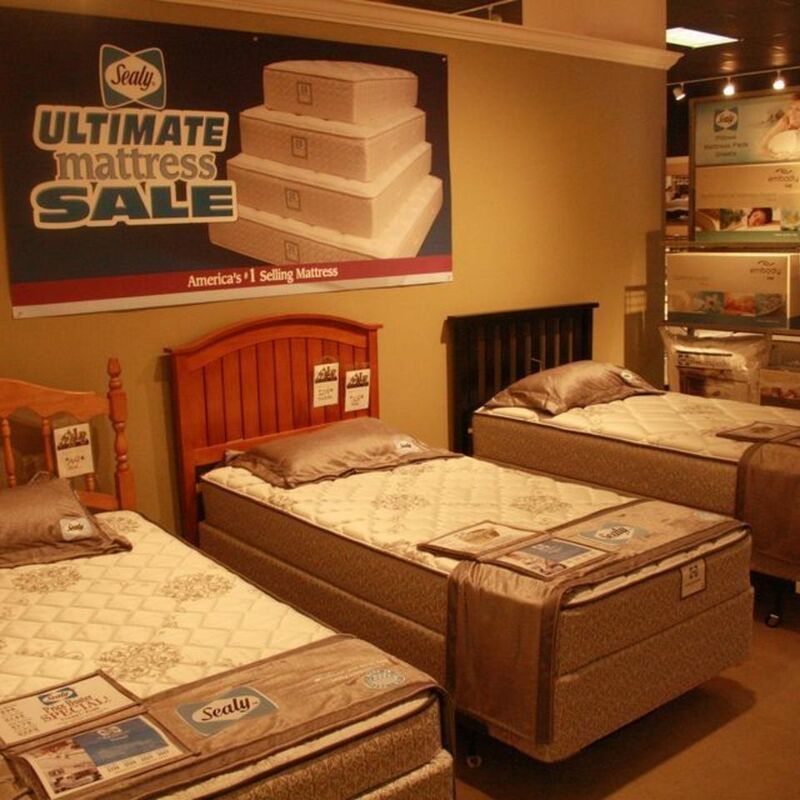 With our Sealy brand we can cover all those needs, from a gel-cool, optimum memory foam mattress for the ultimate in sleep comfort, to a high value simple inner spring mattress for your guest room or cottage.